An open air play area for kids 10 and under. The Boneyard invites future palentologists to Climb atop rocks and cross rickety rope bridges. Roam mysterious caves and hurl down twisting slides. 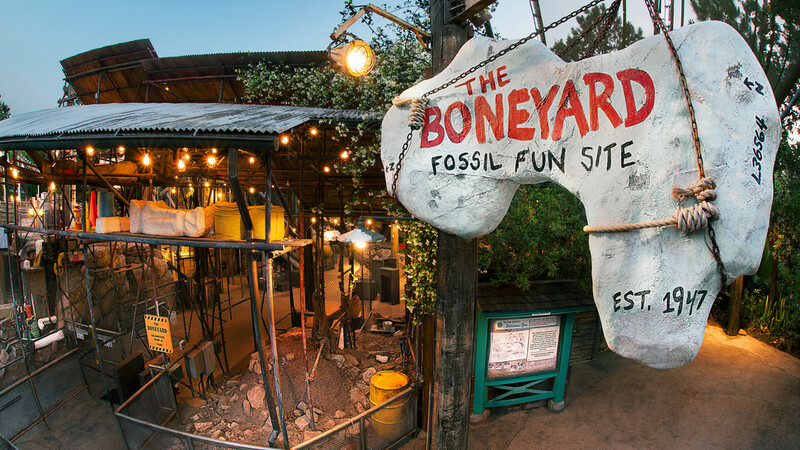 Navigate a maze of dinosaur bones and even unearth the remains of a Wooly Mammoth in a nearby sandpit.